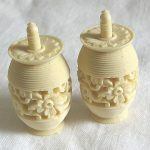 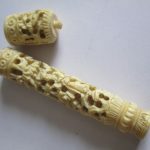 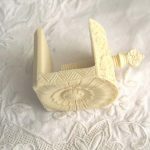 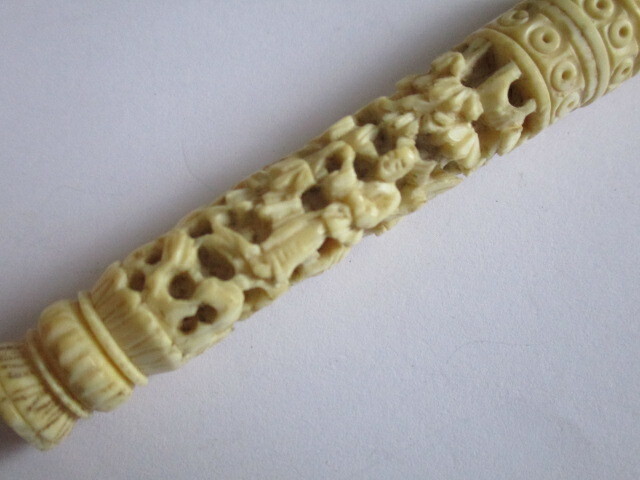 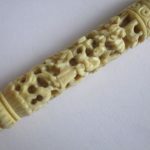 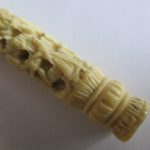 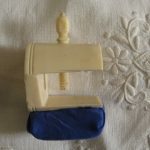 A small canton carved needle case in antique ivory. 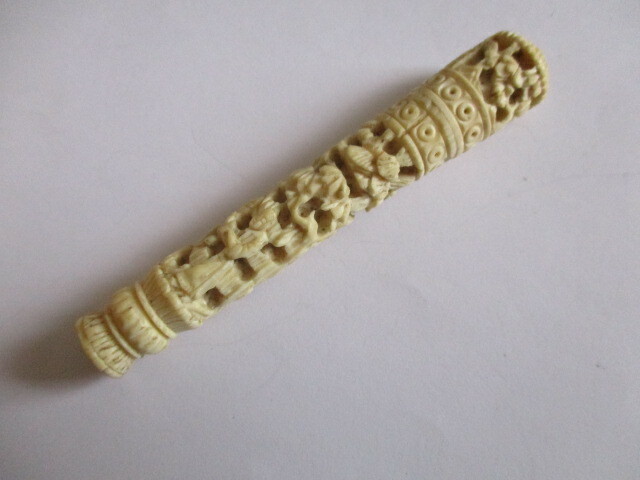 A small Canton carved needle case in antique ivory. 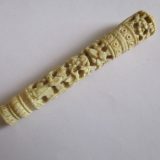 Deeply carved with tiny figures, houses and foliage. 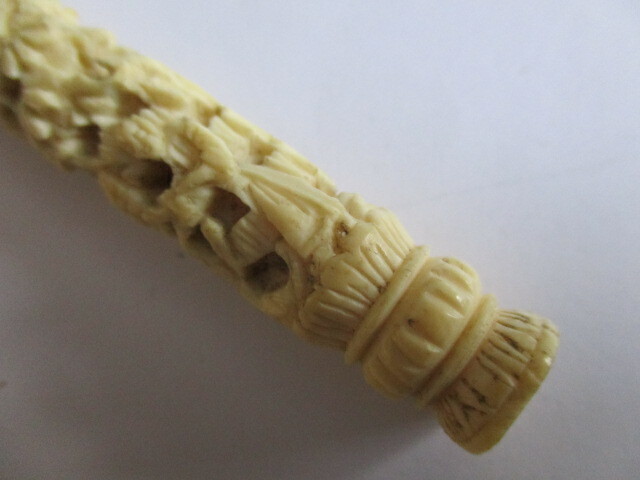 It measures 3 1/2″ long and has a smooth secure closure. 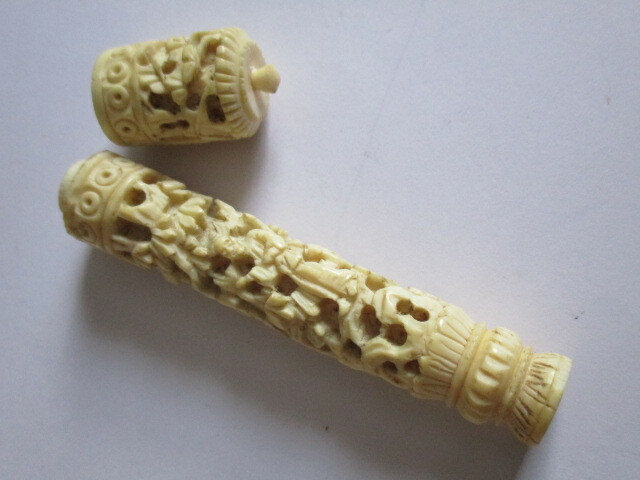 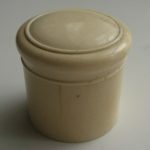 There is a natural fissure typical for ivory, however the case is quite sturdy.